Crystal has been awarded the prestigious accolade of Ocean Cruise Line of the Year at the inaugural Australian Travel Awards, held this past Friday evening at Sydney’s Paddington Town Hall. New in 2018, the consumer and travel-trade facing Australian Travel Awards were conceived to celebrate wholesalers, destinations, airlines, tourism boards, cruise lines, retail agencies and the myriad of other companies that make up the industry. At the coveted event, Crystal was awarded Ocean Cruise Line of the Year, further cementing the company’s reputation as the World’s Most Awarded Luxury Cruise Line. 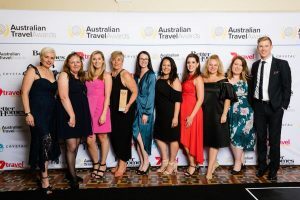 The awards were judged by more than 70 of Australia’s most experienced travel industry alumni and experts from the marketing sector. Thirty-seven categories covered the full gamut of the travel industry, with Crystal named as a finalist in three categories including Luxury Travel Brand of the Year; Ocean Cruise Line of the Year; and River Cruise Line of the Year. The award is the most recent in Crystal’s prestigious history of industry accolades bestowed by travellers and professionals, and is representative of the company’s tradition of upholding a consistent standard of luxury recognised by its travel trade partners. Having begun a significant brand expansion in 2015 with the introduction of Crystal Yacht Expedition Cruises, and in 2016 with the launch of Crystal River Cruises, Crystal has taken its award-winning brand of service and luxury to entirely new experiences. With dramatic redesigns recently completed for its ocean vessels Crystal Symphony and Crystal Serenity, the company continues to invest in its core ocean voyages, which span the globe and offer travellers diversely enriching choices. Across each of its brand extensions and varied offerings around the world, Crystal’s commitment to the original hallmarks of its philosophy – incomparable service, abundant space, superior quality, numerous choices and fascinating destinations – continues to earn the company the industry’s highest accolades.